A flavorful, easy to digest recipe that delivers superior nutrition in every bowl. It is slow-cooked in small batches for the results you'll see - healthy, happy cats. 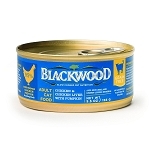 It is made with holistic, natural, super-premium turkey and New Zealand Green Lipped Mussels. Even the pickiest eaters will love it! 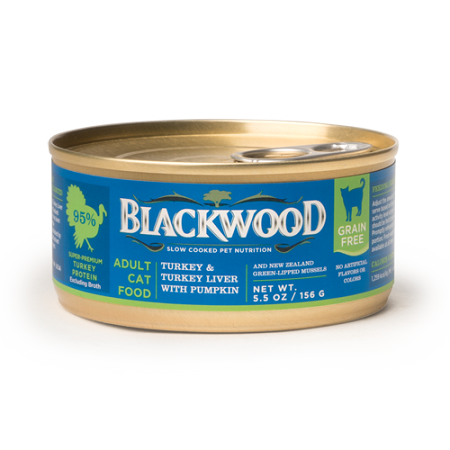 Blackwood Turkey & Turkey Liver with Pumpkin & New Zealand green-lipped mussels has been formulated to meet the nutritional levels established by the AAFCO Cat Food Nutrient Profiles for all life stages.